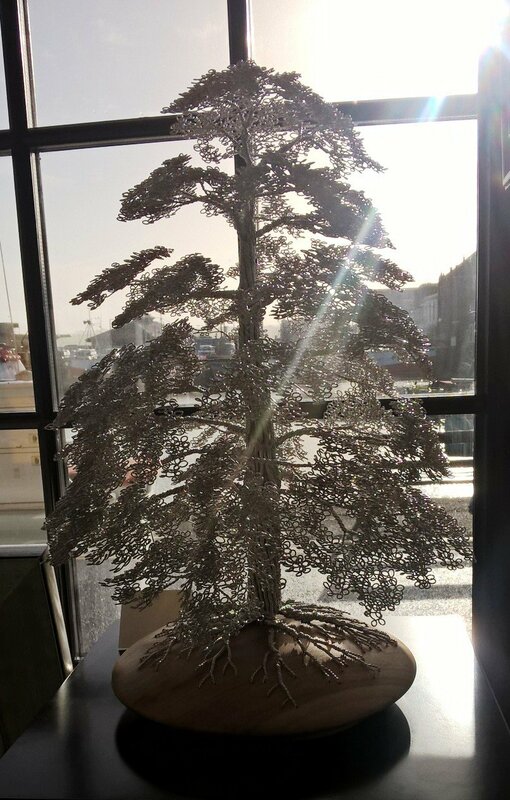 Brixham based sculptor, Clive Maddison, uses a technique of twisting wire to create beautiful trees. 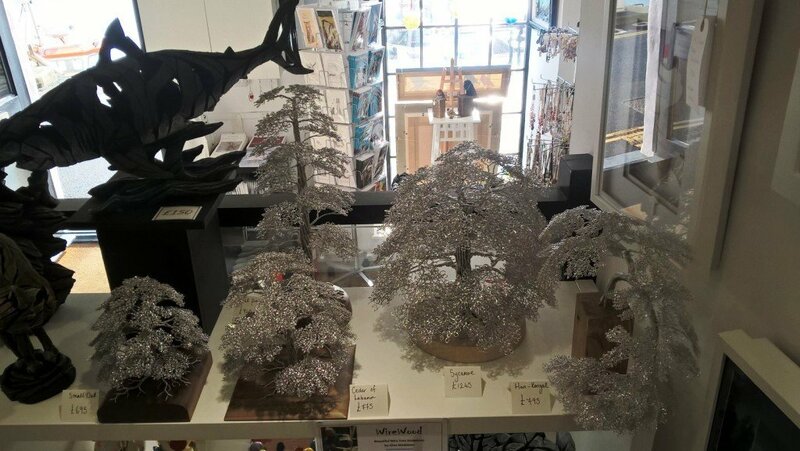 The trees are handmade from single strand wires that run from the roots to the leaves. No glue, solder or other means are used to hold them together, it is purely down to the way the strands are twisted. 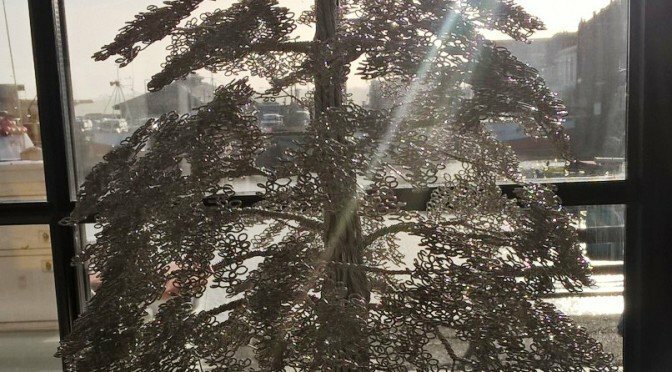 The trees can contain over 100 meters (328 ft) of wire and the method used also ensures that the sculpture is self supporting.